The Kiwanis Club of Ponchatoula is offering the highly collectible 2019 Strawberry Festival Poster by local artist Matthew Moore in two sizes. Each poster is numbered and carries the official seal of the Kiwanis Club of Ponchatoula. Posters may be purchased in Ponchatoula at Florida Parishes Bank or Northshore Insurance or by emailing ponchykiwanis@gmail.com. All Strawberry Festival Posters are rolled in a sturdy mailing tube. Two posters of the same size may be shipped in the same tube to save on shipping costs. Large or small poster $20 postage. 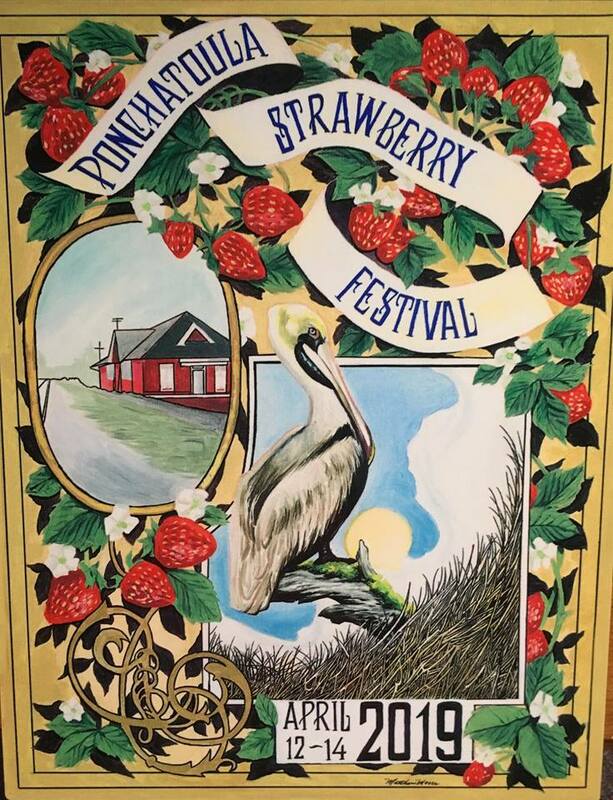 Click here to see Ponchatoula Strawberry Posters available from Previous Years.